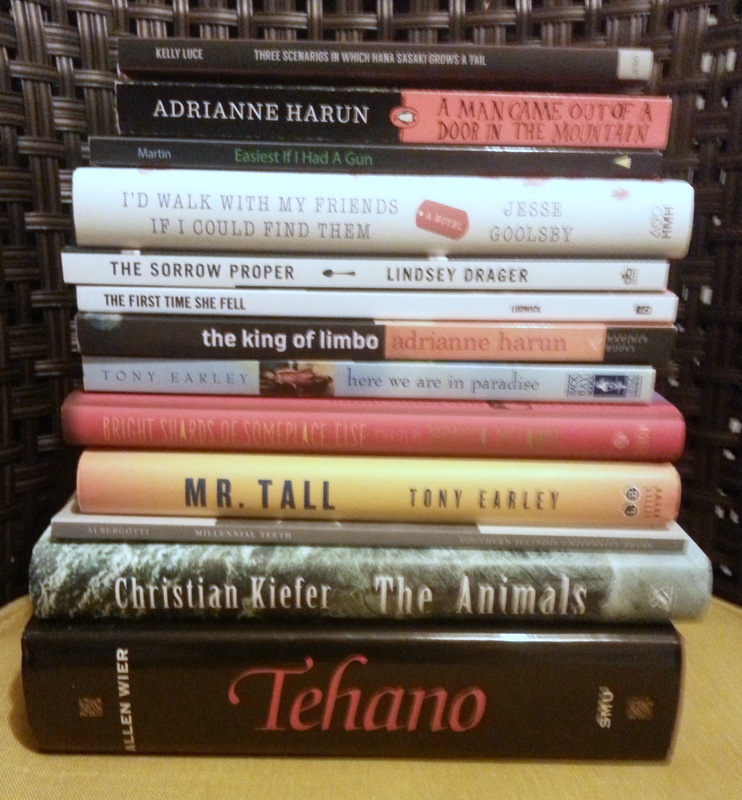 Today, my book haul from Sewanee Writers’ Conference arrived by mail, and I immediately stacked them for a photo so I could share with y’all the fantastic books I’m looking forward to reading the remainder of this year. I’ve listed them below in the order they’re in on the stack, with asterisks next to members of my workshop group (and double asterisks for my faculty), and I’ve linked you to the books online so you can order copies of your own. And you should. Because these folks are amazing! Also, not pictured here are two other books related to Sewanee that I’d gotten prior to the conference: my friend *Bonnie ZoBell’s What Happened Here, which I’d bought at a reading Bonnie did here in Portland a while back; and M.O. Walsh’s My Sunshine Away, which he workshopped at a previous Sewanee Writers’ Conference and which my mother-in-law (unaware of the connection) had gifted me shortly before I learned I’d been accepted to the conference this year. What a great collection to read! Thanks for sharing. I don’t — I’m awfully behind in my reading. Finishing My Sunshine Away tonight, though. Advance warning that I have two volumes of short stories coming out soon, and you’re getting complimentary copies!